Sundance gives you plenty of reasons to entertain at home. The award-winning Sundance® hot tubs spa Optima™ will beautify your backyard, with its AquaTerrace™ waterfall and SunGlow™ LED lighting that cycles through a color palette. True beauty is inside the Optima spa. Silent Air injector jets create tiny bubbles of aromatherapy when you add SunScents™ fragrance beads. 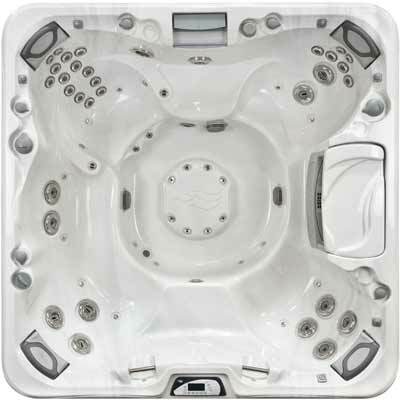 With seating for seven, a cascading AquaTerrace waterfall, and massaging jets from the reflexology foot dome, the Optima brings the Sundance spa lifestyle to your backyard. Dimensions - 7'5" x 7'5" x 37.5"